Nominated! Best Performance, The Game Awards 2015! Posted by Doug Cockle on Dec 3, 2015 in News | Comments Off on Nominated! Best Performance, The Game Awards 2015! 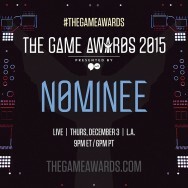 I’ve been nominated for Best Performance for my work on Witcher 3 at The Game Awards in Los Angeles! Yippee! Will be there at the Microsoft Convention Centre in down town LA for the awards on Thursday, Dec. 3rd. Really looking forward to the whole thing. I will be seeing some lovely people and having a blast. Win or lose I am thrilled to have been nominated, and in such good company (! ), so really just enjoying the ride. Hope to see some of you there!